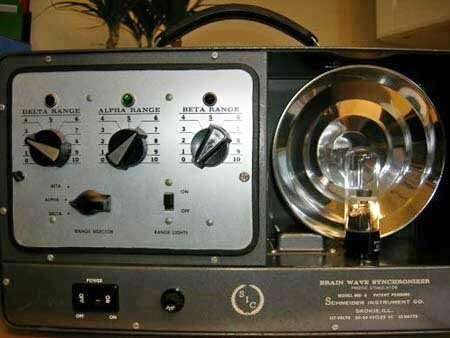 Antique mind machines | Brainwave entrainment has evolved a lot - Really! Brainwave entrainment has evolved a lot since its inception. The very first mind machine was arguably created by the French psychologist Pierre Janet in the late 19th century. It was little more than a wheel with spokes that rotated in front of a lantern. Yet, it seemed to be immensely helpful in calming his mentally ill and otherwise hysterical patients.